Javi Gracia has admitted that Manchester United were better than Watford in first half of their 2-1 defeat, but was pleased with the fight from his side. 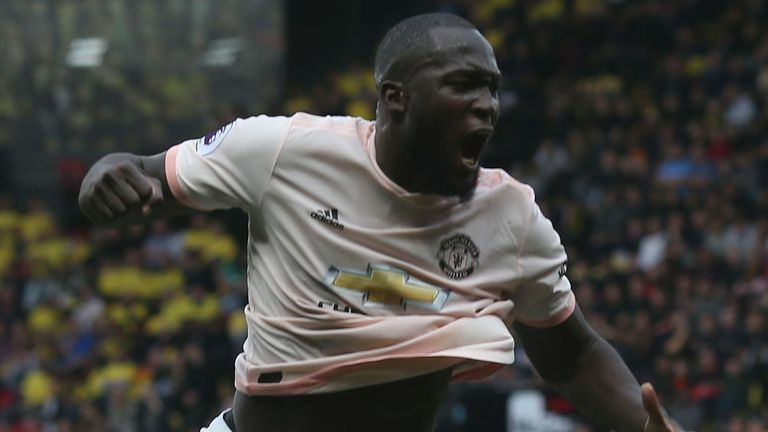 Romelu Lukaku and Chris Smalling scored within three minutes of each other in the opening period, with Andre Gray netting in the second half for the Hornets, but they could not maintain their 100 per cent start to the season. Gracia conceded United were the stronger side in the first half, but believes his side showed the character he wants from them. "I think the first half, they played much better than us. They had more possession, more chances and they played better," he said. "We spoke at half-time and tried to improve things and I think we made a step forward. We were able to get out and create more chances, have more possession and we competed better in the second half. "Deserve [a draw] or not deserve, I don't know... If we scored in the last minutes, maybe it would have been a draw and it would have been a very good result for us, but we tried and I think it is a line we need to keep for the next few games. "The most important thing for me is that we made a very big effort again. We tried to win, but if we have to lose, we have to lose like today in this way, fighting until the end, showing all the time our spirit and character. Our fans, they have to be proud of us and we have to make an effort and I think the players have done it." Having faced United this season, Gracia's opinion of them has remained unchanged, adding: "I think the same as I did before the game. For me, it is a very good team and you can see today they had a lot of options, they played well with the ball, defend well and for me, it is a great team."